Frequent Washing with Hot Water: Hot water dissolves away oils from the skin making it dry. Some medication: Medicines like diuretics such as Lesix remove water from the body that can cause dryness. Harsh weather: Excessive cold and hot weather contribute to dry skin. Using Non-moisturizing Soaps with Harsh Ingredients: Non-moisturizing soaps dehydrate the skin and decrease moisture from the body. Take a cup with hot water and add a few drops of peppermint, calendula, chamomile or dandelion oil when you sleep. The vapors will benefit your dryness. Olive oil softens the skin and reduces itching. Apply it on the affected area including scalp. Olive oil in your salad dressing will also get rid of dry skin. Beat an egg yolk with 2 teaspoons each of yogurt and honey. Apply this mixture to the face and wash off when it is dry. Apply petroleum jelly or Vaseline thoroughly and leave it overnight. Warm your feet or hands after applying the jelly and wear socks or gloves to treat dry skin of cracked heels, feet and hands. Alternatively, before sleeping take bath in a tub filled with lukewarm water. Pat yourself semidry with a soft towel and apply the petroleum jelly all over the body and wear your pajamas. You will feel the difference in your skin. It is a very good remedy. Apply some honey to the skin to heal and moisturizers the skin and promote dead kin tissues re-growth. Mix some honey in cold milk (preferably cow or goat milk) and apply on face, hands and feet. The great advantage of oily skin is that it ages at a slower rate than other skin types. Oily skin needs special cleansing with plenty of hot water and soap to prevent the pores from being clogged. Avoid harsh products that strip your skin of oil and encourage flakiness. They can cause a reaction known as reactive seborrhoea, where the oil glands work overtime to compensate for the loss of natural oils. Keep your skin very clean. 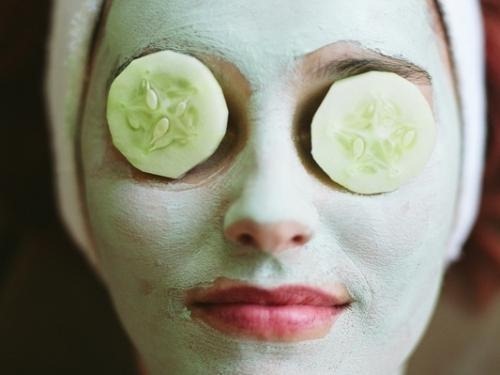 Limit washing your face to two or three times a day. Too much washing will stimulate your skin to produce more oil. 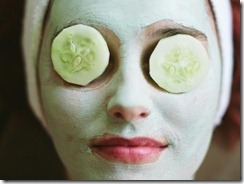 Half an hour before taking your bath apply on your face half teaspoon each of lime and cucumber juice mixed together. Honey is an excellent natural moisturizer. Apply a thin layer of honey all over the face. Wash it off with tepid water after 15 minutes. Do not cook with oil. Do not eat any oils that have been subjected to heat, whether in processing or cooking. If a little oil is necessary, such as in salad dressing, use cold-pressed canola or olive oil only. Make a fine paste of one teaspoon of walnut powder, lemon juice and honey. Scrub the body with the paste. Leave it for 20 minutes and rinse with cold water. Mash banana with milk and apply it on face . Leave it for 20 minutes and rinse with cold water. Apply the mixture of honey and tomato juice on the face and neck, wash it after 15 minutes. Apply coconut water and thick pineapple juice mixture for 15 minutes and pat dry.